Mr. Mats Agervi is the Chief Executive Officer of Combient AB since February 2015. Mr. Agervi was the Head of Strategy and Portfolio at Ericsson India Global Services PVT. Ltd and previously served as its Managing Director until July 02, 2014. Mr. Agervi served as Vice President and General Manager of Global Delivery at IBM India Private Limited until November 2006. 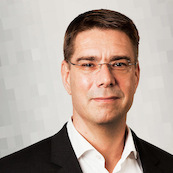 He previously served as vice president-strategic outsourcing of Global Technology Services at IBM Nordics. He has done Master of Science (M.Sc. ), Industrial Engineering and Management from Tekniska högskolan vid Linköpings universitet.